Academy Aikido Jyuku welcomes YB. Dato Sri (Dr) Mohd Effendi Norwawi as the Chairman. Academy Aikido Jyuku looks forward to a prosperous future under the able leadership of Dato Sri. Dato Sri's pursue in martial arts was realized when he called upon and met Shihan who just arrived from Tokyo in 1971. None could have even imagined that there would be a reunion 30 years later. 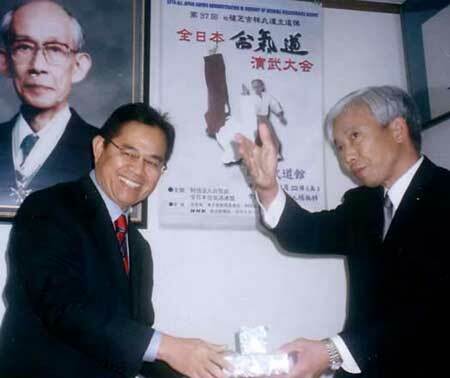 In December 2003, Dato Sri together with Shihan Yamada made a courtesy meeting with Doshu Moriteru Ueshiba, Mr.H. 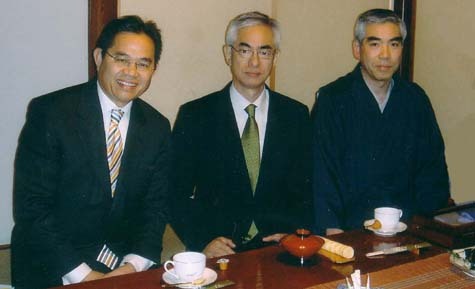 Yonemochi (Director of the International Department, Aikikai Foundation) and Mr. Hiroshi Somemiya (Secretary General of IAF) in Tokyo, Japan. First of all, let me congratulate and extend my utmost thanks to the newly appointed committee members of Academy Aikido Jyuku 2004/2005. Aikido is closed to my heart because of its elegant philosophy, principles and techniques. It is very effective in self-defense in such a way that it promotes defensive or offensive movements without causing necessary injury and harm to the attacker. Its concept rests upon disarming and disabling your opponent without injuring him or her. I personally experience that the practice of aikido is also a great form for physical and mental exercises. I believe that we are lucky Malaysians as among us is Jun Yamada Shihan who is totally dedicated to this art in Malaysia for over 30 years. Despite his dedicated works and contribution in promoting aikido, his outright humility, generosity and genuine teachings deserve the fullest appreciation and respect from all of us. I sincerely hope that it also can be a positive, social interaction and networking opportunity to everyone. We should strive to have a close and supportive relationship and to join ranks in promoting this art. Everyone should set a common objective and mindset to make this movement meaningful, useful and attractive to society. Let me reiterate my call to all aikido practitioners to join ranks and promoting this art to attract enthusiasm nationwide and hence to allow Malaysians to experience this beautiful art. Let us share and grow together in Aikido. 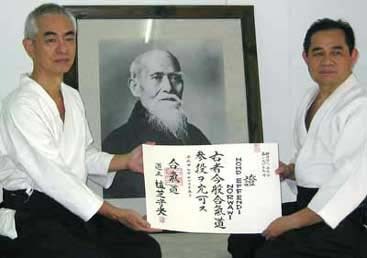 To understand the essence of Aikido, one can acquire through learning the founder's footsteps. A lot of Aikido is derived from the Ken. 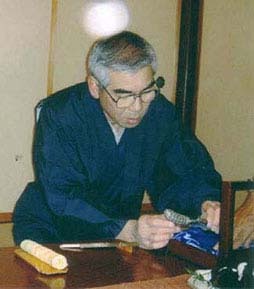 Therefore, it is a common to become interested in Ken while learning Aikido. This is what brought Dato all the way to Chichibu. Dato was touched from the first glance at the genuine hundreds-year-old Katana. The Katana deeply enchanted Dato because the Katana appear as if it had just been created, even to the naked eyes.